Go for a jaunt from Perth to Fremantle to see Fremantle Prison about 32 minutes away. Dedicate the 21st (Tue) to wine at some of the top wineries in the area. Pack the 23rd (Thu) with family-friendly diversions at Adventure World Perth Australia. 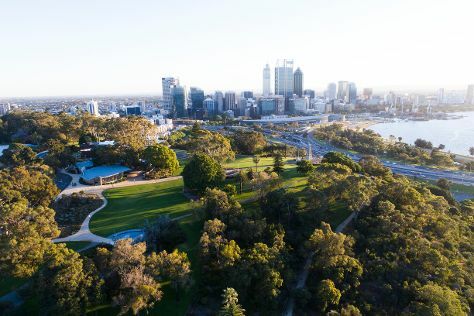 The adventure continues: stroll around Kings Park & Botanic Garden, explore the world behind art at Art Gallery of Western Australia, kick back and relax at Cottesloe Beach, and get great views at Fraser Avenue Lookout. Manchester, UK to Perth is an approximately 23-hour flight. The time zone difference when traveling from Manchester to Perth is 8 hours. Expect much hotter temperatures when traveling from Manchester in January; daily highs in Perth reach 38°C and lows reach 20°C. Cap off your sightseeing on the 23rd (Thu) early enough to travel to Sydney. Get out of town with these interesting Sydney side-trips: Katoomba (Wentworth Falls, The Giant Stairway, & more). Spend the 30th (Thu) exploring nature at Sydney Harbour National Park. 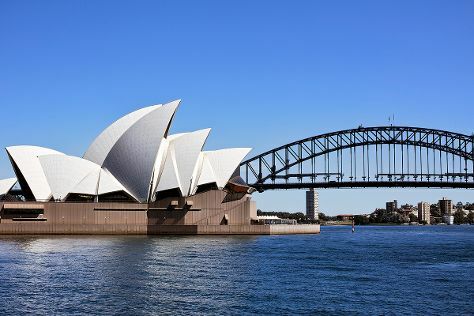 There's still lots to do: take in the views from Sydney Harbour Bridge, see the interesting displays at Australian National Maritime Museum, wander the streets of The Rocks, and kick back and relax at Manly Beach. To see where to stay, other places to visit, maps, and more tourist information, use the Sydney travel route planning website . Getting from Perth to Sydney by flight takes about 7.5 hours. Other options: drive; or do a combination of train and bus. You'll lose 2 hours traveling from Perth to Sydney due to the time zone difference. When traveling from Perth in January, plan for slightly colder days and about the same nights in Sydney: temperatures range from 32°C by day to 23°C at night. Wrap up your sightseeing on the 1st (Sat) to allow time to travel to Gold Coast. You'll find plenty of places to visit near Gold Coast: Watersports Guru (in Kingscliff) and Byron Bay (Cape Byron Walking Track, Stand-Up Paddleboarding, & more). Spend the 9th (Sun) exploring nature at Les Rodgers Memorial Park. And it doesn't end there: get up close and personal with brilliant marine life at Sea World Theme Park, stroll through Surfers Paradise Beach, look for all kinds of wild species at David Fleay Wildlife Park, and enjoy breathtaking views from SkyPoint Observation Deck. To see photos, maps, and other tourist information, read our Gold Coast tour planner . You can fly from Sydney to Gold Coast in 3.5 hours. Alternatively, you can do a combination of flight and train; or drive. In February, plan for daily highs up to 32°C, and evening lows to 24°C. Cap off your sightseeing on the 10th (Mon) early enough to go by car to Brisbane. Venture out of the city with trips to Atrium Gallery at Buderim Craft Cottage (in Buderim), Australia Zoo (in Beerwah) and Spas & Wellness (in Maroochydore). 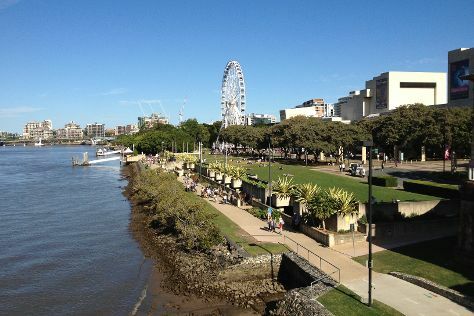 Next up on the itinerary: walk around South Bank Parklands, admire the natural beauty at Brisbane Botanic Gardens Mt. Coot-tha, examine the collection at Queensland Museum & Sciencentre, and tour the pleasant surroundings at Mooloolaba Beach. To see other places to visit, where to stay, maps, and more tourist information, go to the Brisbane trip app . You can drive from Gold Coast to Brisbane in an hour. Alternatively, you can take a bus; or take a train. February in Brisbane sees daily highs of 33°C and lows of 24°C at night. Cap off your sightseeing on the 19th (Wed) early enough to travel back home.